Sepilok rehabilitation centre is one of the biggest and most well known orangutan sanctuaries in Malaysia. The sanctuary is located nearby Sandakan; the total site is over 43 square kilometer in size. Around 75 orangutans roam free within the forest reserve. During their rehabilitation the animals rely heavy on the help of the people that work at the centre; and also on the donations from tourists. Tourist can snap precious pictures during daily feeding time. One of the most popular destinations in Sabah is the Kinabatangan River. This river has a length of 560 kilometers and stretches through half of Eastern Sabah. Alongside the riverbanks there is an abundance of wildlife. During a river cruise you will have a chance to spot the rare orangutan, the pygmy elephant, proboscis monkeys and saltwater crocodiles. During night cruises you might spot the leopard cat, numerous sleeping birds, wild boars, snakes and many crocodiles. Mulu National Park is the biggest national park in Sarawak. The park is best known for the amazing caves. The Sarawak Chamber is the world's biggest cave chamber. It is said that 40 Boeing 747 aircraft's fit in the cave. Clearwater cave is the world's longest cave with a length of over 110 kilometers. The caves aren't the only highlights at Mulu NP. The amazing pinnacles at Mount Api are absolutely stunning to witness. 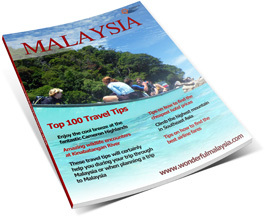 A visit to Mulu NP will bring your holiday in Malaysia to new heights! 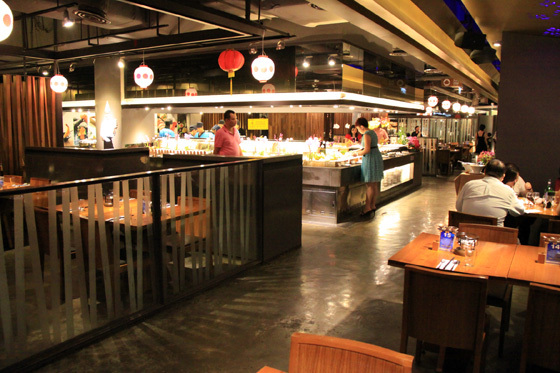 Jogoya is a popular Japanese buffet restaurant in Starhill Gallery, the most luxurious shopping mall in Kuala Lumpur. 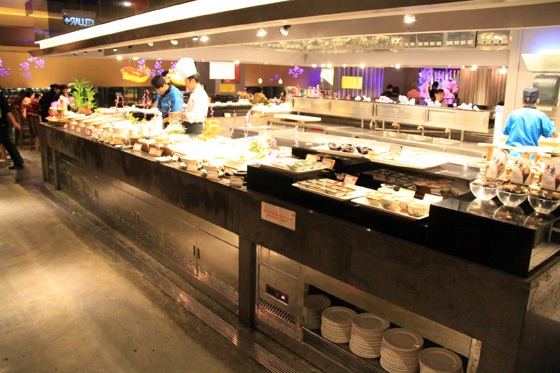 The concept of this all you can eat restaurant attracts a lot of guests, the restaurant is packed almost daily. Even though the restaurant can be quite busy, the layout is very nice and it always appears relaxed and quiet. 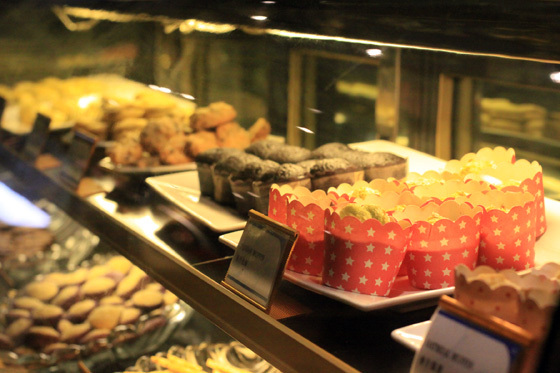 There are three slots that you can choose from; Lunch, Dinner and Supper. 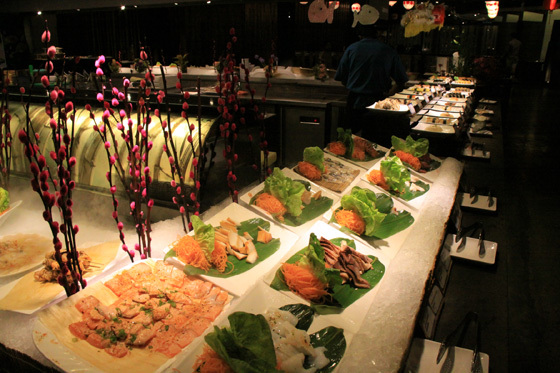 Regular prices vary between RM78++ per person for lunch & supper, and RM88++ for dinner. During promotions prices are much lower, during public holidays or other important events (like Chinese New Year when we visited the restaurant) the price is a bit higher (we paid RM98++ for dinner). If you are coming with two people there is usually a table available. 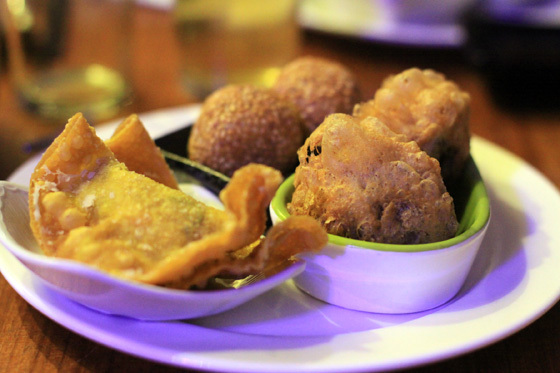 If you are visiting the restaurant with a small (or bigger) group, then it is advised to make a reservation beforehand. This is quite easy, as they offer an online reservation option via their website. You can also call them at their reservation hotline (+603-21421268). There were almost no real negatives. The only real downside I could think of was that we were told up front that drinks (even alcoholic drinks) would all be free flow, but later we found out this didn’t include a nice bottle of sake. As we were only with two people, we skipped buying a whole bottle and drank some wine instead. The white wine was very sweet, though it did go fine with the food (but in any place in Bangsar I would have skipped wine like this). One obvious positive aspect of Jogoya is that you absolutely get what you pay for. 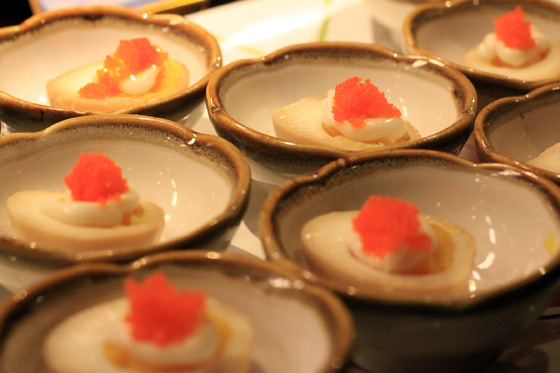 The food is amazing, and there is a huge choice of Japanese and non-Japanese dishes. Dishes that need preparing can be ordered with ease by dropping one of the numbered clips in the bowl that corresponds with the dish you want to order. In about 5-10 minutes your order will be served at your table. 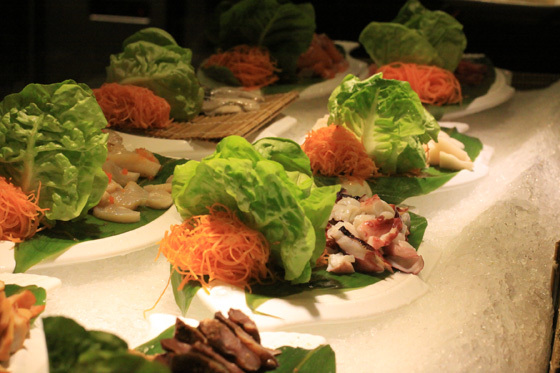 There is a huge selection of sushi, sashimi, fresh seafood, salads; already enough to fill your belly. 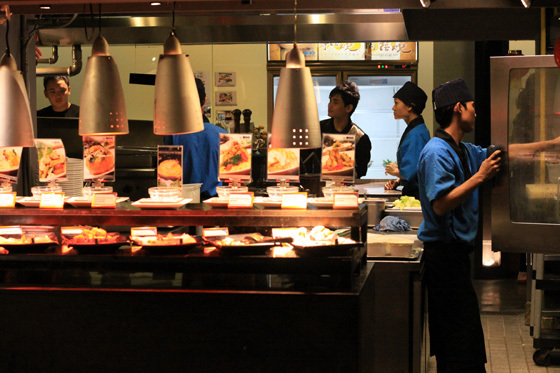 As the restaurant is usually full with guests, the flow is continuous so it is always fresh. The drink section was great, the dessert section was amazing too. We enjoyed some Häagen-Dazs ice cream, a few slices of cake and some Mochi. We loved Jogoya. The food was of great quality and high standards as expected. A few of the sushi we had were decent instead of fantastic, but no real reasons to complain. First batch of Sashimi Maguro I tried was probably one of the best I ever had, but when I came back later, there was a new batch of lesser quality. The coffee was great, the wine was too sweet (we only had white wine). Cocktails were quite ok, even though they came from a dispenser. Even though the restaurant can be quite busy, the layout is very nice and it always appears relaxed and quiet even though 580 people can be seated at the same time. 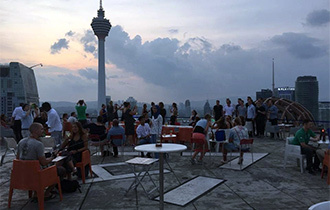 We think that Jogoya is the perfect place for tourists that visit Kuala Lumpur. Prices are very decent and you get a great evening (or lunch/supper) in return. It is also a nice way to experience Starhill Gallery, as regular tourists would otherwise find this mall perhaps a bit too luxurious for their taste. 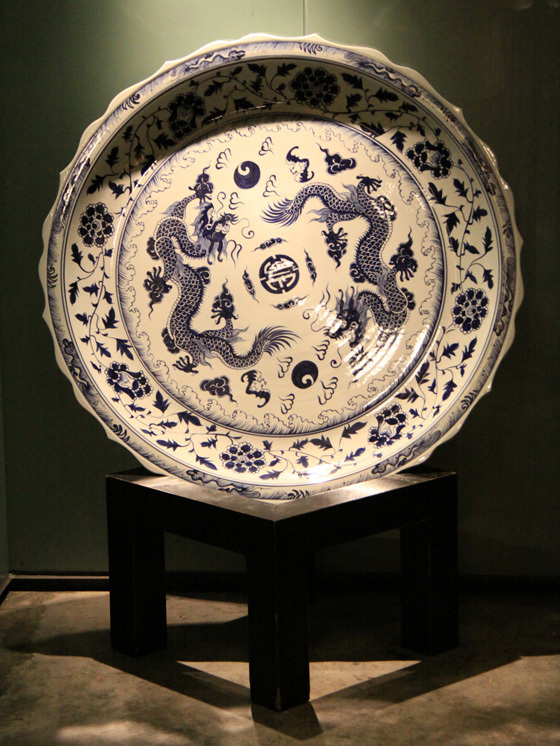 Opening hours: Daily between 11.30-16.20 (Lunch), 17.00-21.30 (Dinner) and 21.40-24.00 (Supper). Kids below 120cm pay half price. * The restaurant is pork-free. 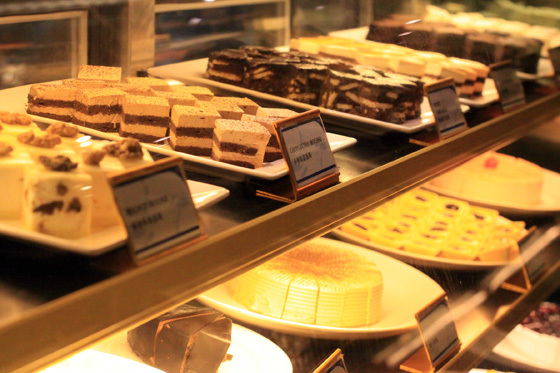 Jogoya is easy to find, especially when you are staying somewhere around Jalan Bukit Bintang, the heart of Kuala Lumpur, with all major shopping malls and ample hotels. 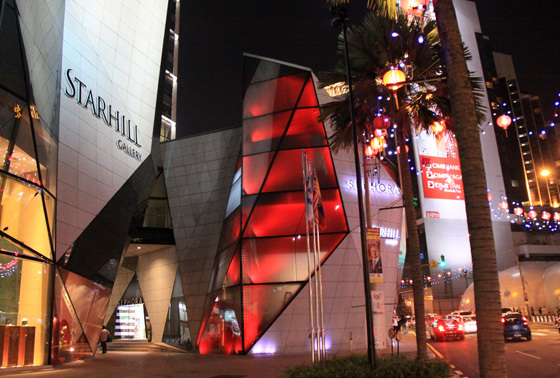 Opposite of the popular mall Pavilion KL you can find the most luxurious mall in Kuala Lumpur, Starhill Gallery. 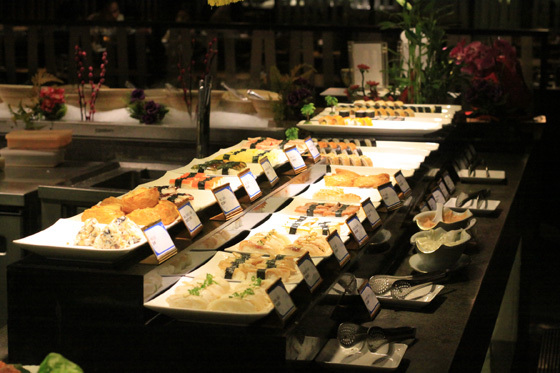 The restaurant is located on the 3rd floor, named Relish. If you are coming from outside of the city, the best way to get there is to either park your car below Pavilion KL and cross the road, or take the skytrain to Monorail Station Bukit Bintang. 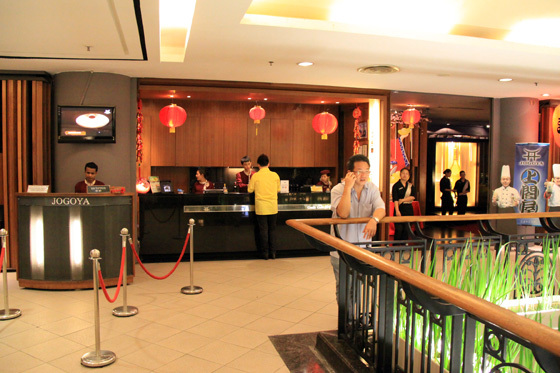 You will arrive right in front of another popular shopping mall called Lot10, from there it is a 5 minute walk to the entrance of Starhill Gallery. Note: Reviews are subjective in nature. What we find fantastic others may find atrocious. Some don’t mind waiting for a few minutes, others would have left by then. Some don’t care about a minor mishap in service; others don’t visit the place ever again. Try to read through the subjective parts and decide for yourself whether you do or do not want to visit the place!